60 cm in 90cm height. 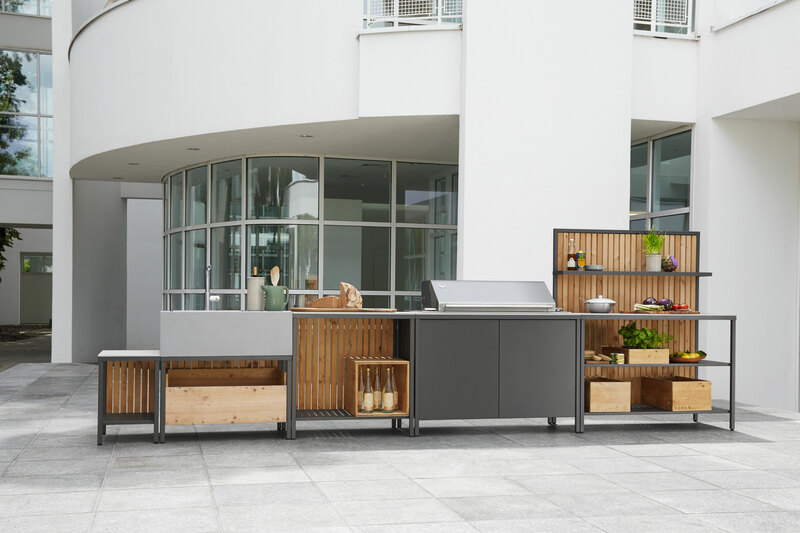 The modular outdoor-kitchen with its conscious simple structure and industrial aesthetic. Perfect, for outdoor life and cooking. Completely made of materials for outdoor use, which require no maintenance at all and can stay outdoors year-round. The striking back walls pick up the aesthetics of a picket fence and also ensure that the kitchen looks pleasing from behind. Made of untreated larch wood which will be coated with a natural patina over the years. 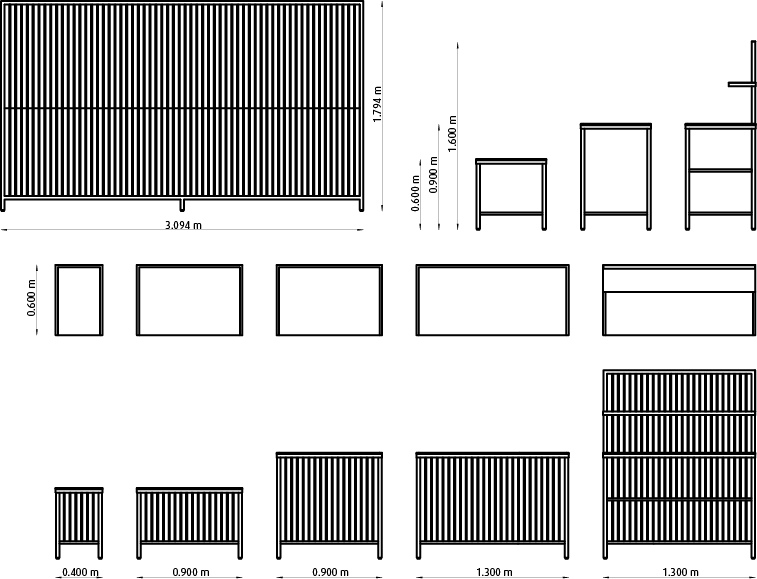 With a gas-grill-element and single-modules in two different heights, expandable and combinable at will. 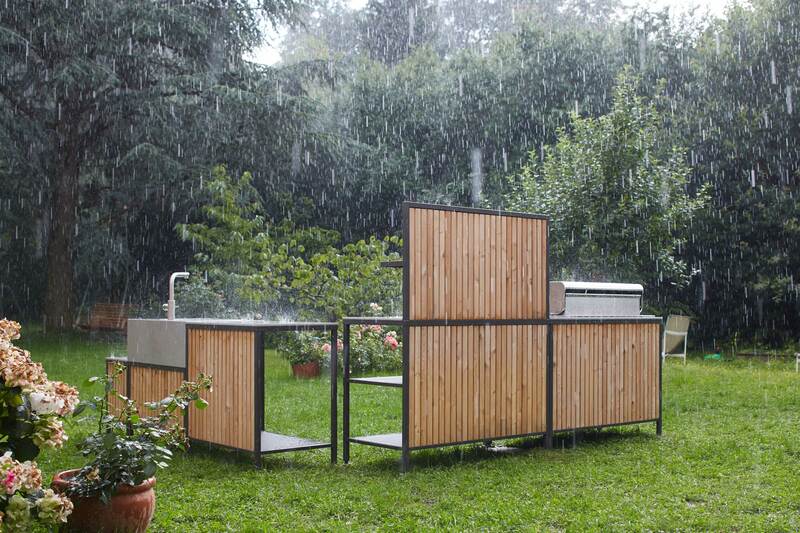 With a frame made of umber-grey powder-coated stainless steel and boxes made of untreated larch wood. 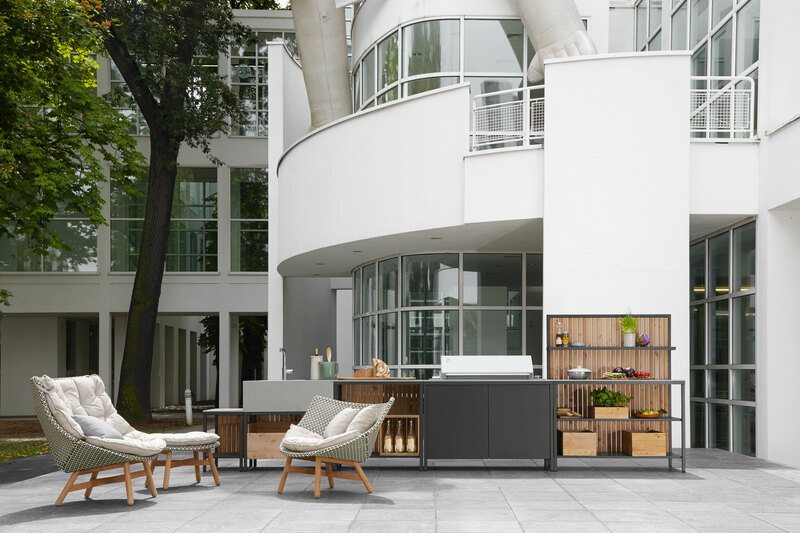 With a deep industrial sink, which is available in ceramic or stainless steel, and with a fitting, suitable for outdoor use. With open or closed wooden boxes which can be carried into the house.